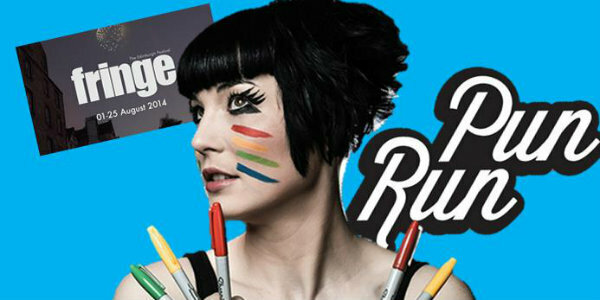 It’s going to take something special to top last year’s Edinburgh Fringe for Bec Hill. Not only did she put on a great show, but during one of them, her boyfriend proposed to her onstage (she said yes). We’re expecting nothing short of a live birthing ceremony during this year’s show. Hallo Bec. How are you today? I just spent 3 hours listening to polyphonic ringtones. In your show blurb you say ‘In October 2013, Bec Hill announced that she was going to write an award-winning comedy show. This is a show for anyone who’s ever made a promise they might not be able to keep’. What do you think are the key components of an award-winning show? Even if it doesn’t win award, we’re pretty sure it’ll be great. What can we expect from Ellipsis? A superhero, magic, paper-puppetry and at least one polyphonic ringtone. At last year’s Festival you received a marriage proposal during one of your shows. Can anything top that this year? If I win an award (a proper one, not, like one you guys make up), I will propose to someone during my acceptance speech. Your show in 2012 was about challenging fears, including those of audience members. What were some of the strangest fears you discovered? Bananas was surprisingly common. One of them was balloons, which was awkward because at the end they had to pop a balloon filled with sweets. You’re also performing a children’s show alongside Tom Goodliffe. What it’s like to perform to an audience of youngsters? It’s very similar to doing stand-up for drunk adults. Tiny drunk adults covered in jam. There’s this show called, “Pun Run,” on August 11 which is just comedians telling puns for an hour. Sounds terrible, but all profits go to Scope and David O’Doherty’s on, so I might check it out*.